Last week I had a sneak peak at the new Fuji X-T2. There’s alot to be desired with all the improvements! This may be the most perfect camera right now. Fuji X-T2 with large eye cup and new battery grip kit using 3 batteries. With the extra juice from the batteries the camera can fire its mechanical shutter to 11FPS!!! Thats PRO camera body territory! Continuing on from the very successful X-T1, and sharing new technology from X-PRO2, while adding a few extra features, we can see Fuji is doing everything right with the X-T2. I’m sure their loyal userbase will be excited to get their hands on one or 2 of these. The same 24.3 megapixel X-Trans CMOS sensor as the X-Pro2. More focus points!! 325 phase detect autofocus point for fast and accurate AF! This should be as good as the Sony A6300, cant wait to see the comparison. The grip will take 3 batteries and give you approximately 1000 frames per charge! As with many other Fuji caneras, they have included a threaded shutter release so you can add a splash of flavour and personalise your camera. Turbo button!! When using the grip, you can choose to fire the mechanical shutter at 11 frames per second. Without it, the shutter still shoots at 8 FPS, or 14 FPS using the electronic shutter! The Joystick on the back of camera is super handy, a feature I liked about the Canon cameras and glad to see it in the Fuji X-T2. Navigation in the menu is so much easier with it. 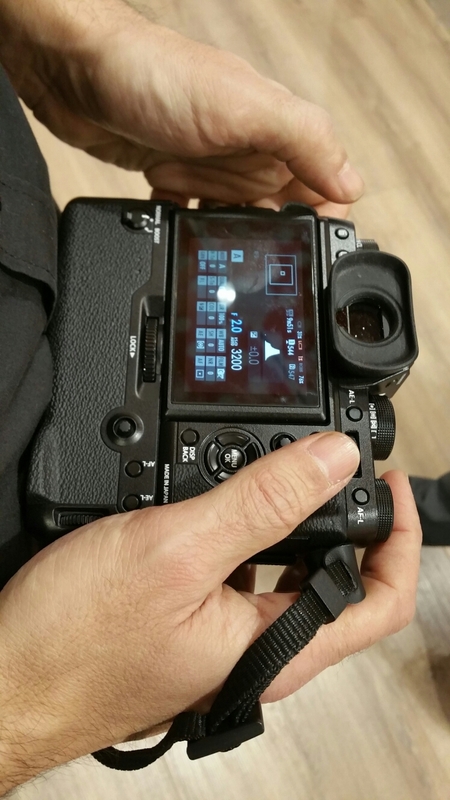 The D-pad sticks out a little more and does feel alot better to press than the X-T1. By popular demand the mechanical dials on the top were also made a little taller so there is better traction when changing ISO and shutter speed. 4k video!! And 60FPS recording. Slow-motions scenes will look amazing. This is better than what Canon cameras are offering. I’d love to see the rendering of colours and detail with the super sharp Fujinon lenses. A new 3 way tilt screen makes framing the subject easier when shooting high and low angles, in portrait and in landscape orientation. Officially announced on 7th of July but according to the Fuji representatives, stock will be pretty limited so pre-order as soon as possible to make sure you get one. This entry was posted in Blog, Gear and tagged camera, compact, fuji, fujifilm, leaked, mirrorless, pre release, review, sneak peak, xpro, xt1, xt2.